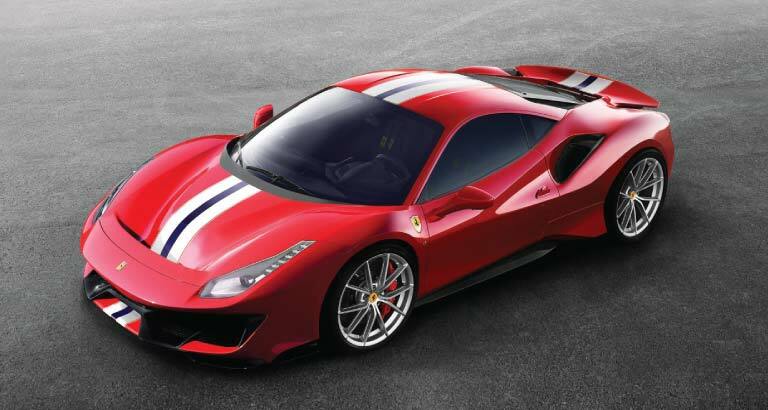 The Ferrari 488 Pista will be unveiled at the upcoming Geneva Motor Show. It’s the successor to Ferrari’s V8-engined special series – the 360 Challenge Stradale, 430 Scuderia and 458 Speciale – which have received critical acclaim for their performance and undiluted handling. The Ferrari 488 Pista marks a significant step forward from the previous special series in terms of both sporty dynamics and for the level of technological carry-over from racing. Compared to the 488 GTB, the new model weighs an impressive 90kg less, which, when combined with the largest ever increase in engine power for a special series car, results in a new benchmark for Ferrari’s V8 sports cars.